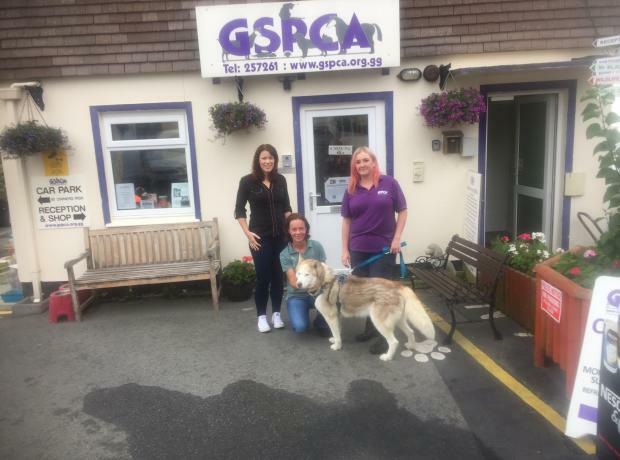 On the 29th September Svetlana Head, Tina Hiddelston, Nic Clevel and Jingjing Qi from Credit Suisse gave up a day in the office to help out at the GSPCA. We were pleased to welcome back Credit Suisse staff for the fourth year and third time in 2017 and they are always a great help and support to the team at the Shelter. 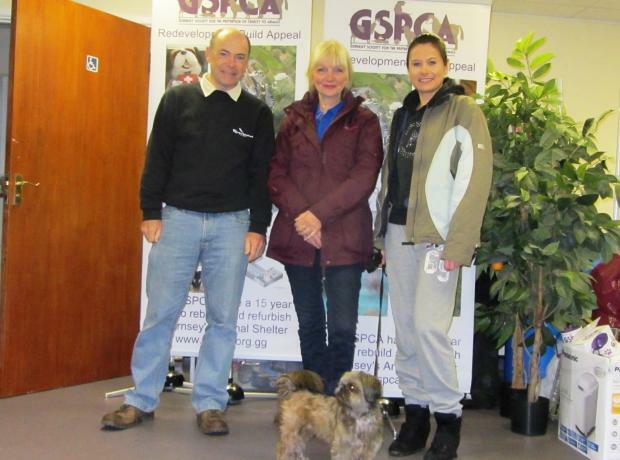 Last Friday Gemma Watson and Helen McWilliam from Credit Suisse gave up a day in the office to help out at the GSPCA. We were pleased to welcome back Credit Suisse staff for the fourth year who are always a great help and support to the team at the Shelter and Helen and Gemma now make it that 3 of their staff have helped so far in 2017 which is hugely appreciated. 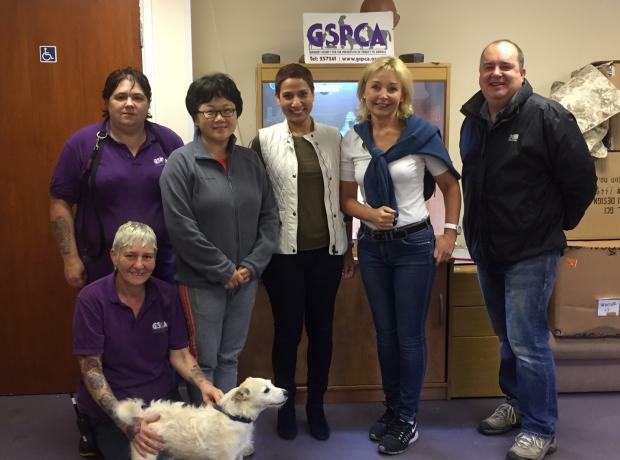 Last Friday Stefania Mella from Credit Suisse gave up a day in the office to help out at the GSPCA. We were pleased to welcome back Credit Suisse staff for the fourth year who are always a great help and support to the team at the Shelter and planning additional volunteer days with us later in the summer. Today a team of staff from Credit Suisse gave up a day in the office to help out at the GSPCA. We were pleased to welcome back Credit Suisse staff for the third year who are always a great help to the team at the Shelter. On Friday 23rd October a team of staff from Credit Suisse gave up a day in the office to help out at the GSPCA. We were pleased to welcome back Credit Suisse staff to help at the Shelter. Both last and this year many of their team have spent a day helping out at the GSPCA and we are extremely grateful for all of their help and support. On Friday a team of staff from Credit Suisse gave up a day in the office to help out at the GSPCA. We were pleased to welcome back Credit Suisse staff to help at the Shelter. Last year many of their team also gave up a day to help out at the GSPCA and we are extremely grateful for all of their help and support. As we mentioned last month it is a hat-trick from Richmond Fiduciary Group who have spent a third year helping out at the GSPCA. 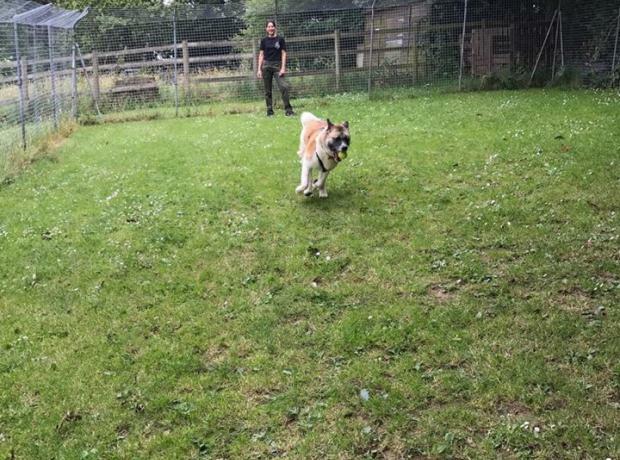 Each year since 2012 staff from Richmond Fiduciary Group have given a day from their desk to come up and help clean out, feed, exercise and get involved with all sorts of work at the Animal Shelter in St Andrews. Last Wednesday a team of staff from Credit Suisse gave up a day in the office to help out at the GSPCA. This is the second group of Credit Suisse staff to help at the Shelter this month and the GSPCA are extremely grateful to all of their help. Hat-trick helpers from Richmond Fiduciary Group spent a third day in three years helping out at the GSPCA. Last Monday three staff from Credit Suisse gave up a day in the office for a pair of wellies to help out at the GSPCA. Chrissie Robert, Stef Mella and Gordon Irish arrived just after 9am where they had a short induction from Animal Welfare and Education Officer Sarah Creasey. Sarah then collected their completed paperwork and got a picture of the group looking clean and tidy with Annie the shitzu before setting them to work around the Animal Shelter.